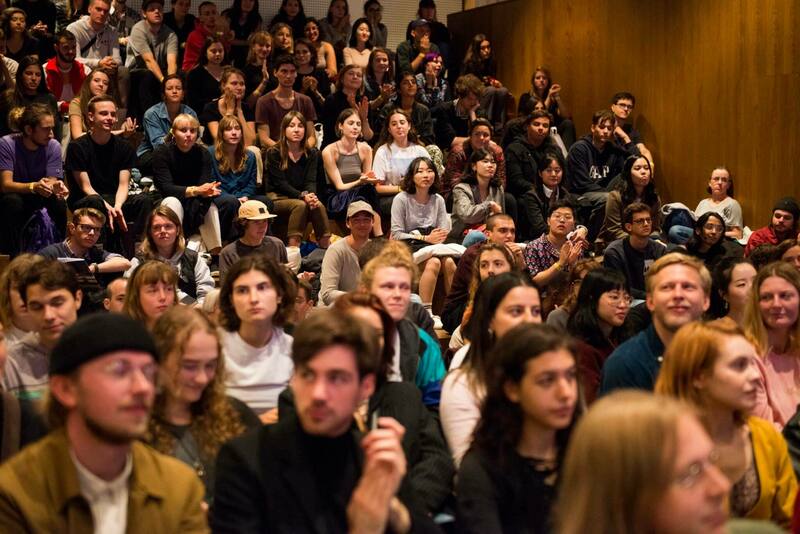 Programme highlights during the Open Day on 26 January 2019 at the Royal Academy of Art, The Hague (KABK). Full programme from 10:00 till 16:00. If you want to know what's on at each department during the Open Day, you can navigate to the Bachelor, Master and Preparatory pages! In the Auditorium at 11.30, 13.00, 14.00 and 15.00. Find out all you want to know about studying at the Royal Academy of Art in The Hague. KABK alumni will also be there to present real case studies, stories and their experiences. Let one of our students guide you through the academy. Get to see the workshops, studios and facilities and much more! The tours start from the main entrance hall. Join us in the Gipsenzaal: At the Individual Study Track (IST) stand you can get more information about IST labs, electives, entrepreneurship in the curriculum and the possibility to do a course at Leiden University. You will also find information about the Research & Discourse course and our Art Research programme. Questions about studying abroad or getting international work experience? Drop by the Gipsenzaal and ask our international office! Find out all you want to know about our PhD programme PhDArts. Meet us in the library! Bachelor students Graphic Design and master students Non Linear Narrative present the outcomes of their collaborative projects realised during last semester's TechWeek. Presentation of a relatively new collaboration between the departments Fine Arts of the Royal Academy of Art (KABK) and Composition of the Royal Conservatoire: 'Artists and Composers' is a programme consisting of ongoing installations and temporary performances. At the shop located in the main entrance hall you can find Royal sweaters, bags and publications. You will also find photo-books, prints and other merchandise at the departments' own locations. Go see the workshops! From Metal, Wood and Textile to Printing techniques, Typesetting, Photography studios, and 3D printing, students and workshop supervisors will be demonstrating techniques, equipment and tools.